Moscow-based security software maker Kaspersky Lab said on Monday it has asked a US federal court to overturn a Trump administration ban on use of its products in government networks, saying the move deprived the company of due process. The Department of Homeland Security (DHS) in September issued a directive ordering civilian government agencies to remove Kaspersky software from their networks within 90 days. It came amid mounting concern among US officials that the software could enable Russian espionage and threaten national security. "DHS has harmed Kaspersky Lab’s reputation and its commercial operations without any evidence of wrongdoing by the company," the company's founder, Eugene Kaspersky, said in an open letter to the Homeland Security agency published on Monday. 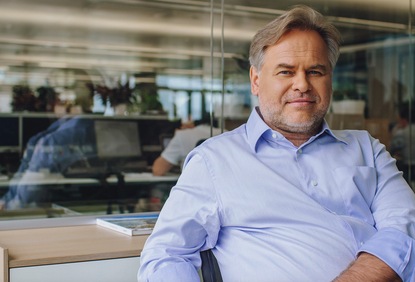 The value of Kaspersky's software sales to the US government totaled less than US$54,000, or about 0.03 per cent of its US subsidiary's sales in the United States, according to the complaint. Kaspersky said in October that it would submit the source code of its software and future updates for inspection by independent parties. US officials have said that step, while welcome, would not be sufficient. The September DHS order applied only to civilian government agencies and not the Pentagon. US intelligence agencies said earlier this year that Kaspersky products were already generally not allowed on military networks.